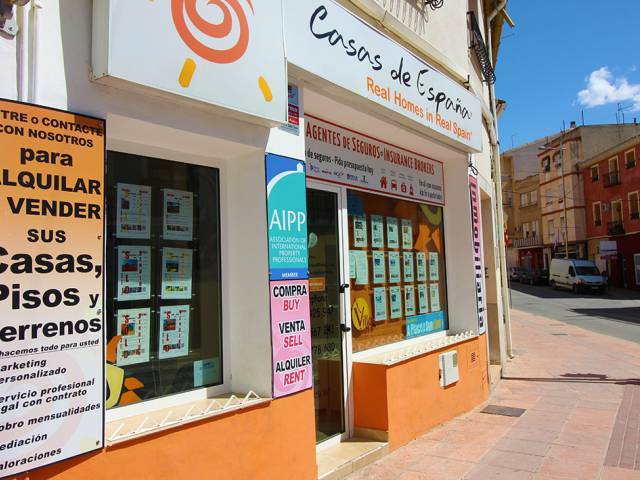 Extra large town house set in historical antique quarter Blanca town center. Having benefitted from some modernisation, this property provides a very large family sized home or indeed potential to offer Bed & Breakfast. Presently comprising: Ground floor with large entrance lobby, lounge with fireplace, new fitted shower room, additional lounge, kitchen with exterior patio, bedroom. Access to large basement. Stairs to first floor, bedroom with balcony, master bedroom suite with bathroom, lounge, dressing room (additional bedroom). Stairs to second floor with two bedrooms. Stairs to covered roof top terrace with stunning views - could be opened up completely. Excellent opportunity to achieve a very large property with roof top terrace with stunning views in very good location close to all amenities.